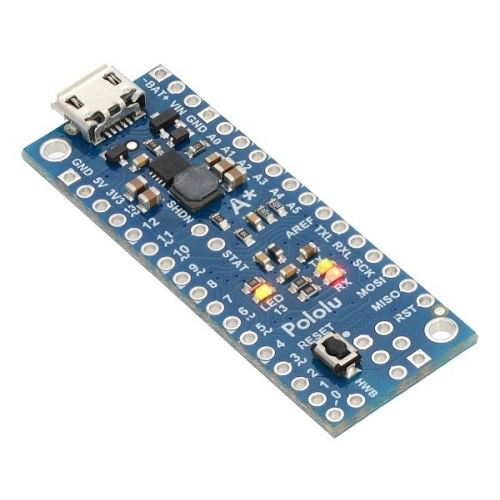 The A-Star 32U4 Mini LV is an Arduino Leonardo compatable mini-board based on the ATmega32U4 from Atmel. 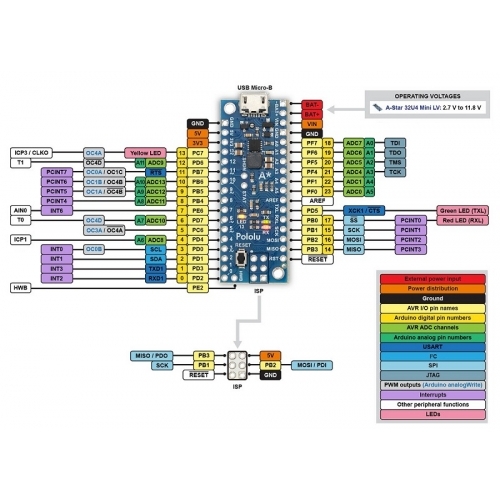 Unlike competing products, it has an onboard switching step-up /step-down regulator that allows it to be powered efficiently from a 2.7 V to 11.8 V supply. 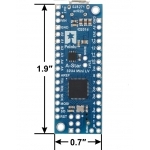 This compact 1.9″ × 0.7″ board breaks out all 26 of the microcontroller’s I/O pins (of which 7 can be used as PWM outputs and 12 as analog inputs), and loading programs is made easier by a Micro-USB interface and a preloaded Arduino-Leonardo compatible bootloader. 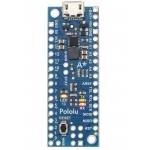 The Pololu A-Star 32U4 Mini boards are general-purpose programmable modules based on Atmel’s ATmega32U4 AVR microcontroller, which has 32 KB of flash program memory, 2.5 KB of RAM, and built-in USB functionality. 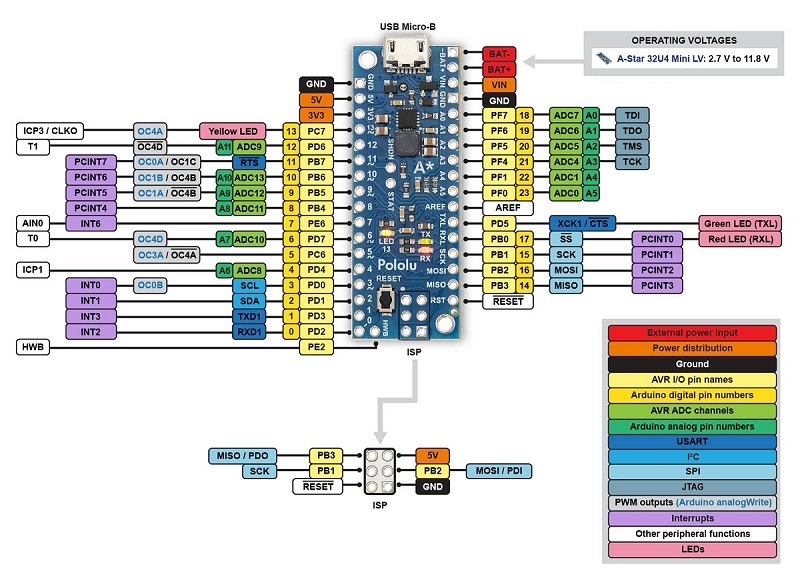 The A-Star (abbreviated A*) adds a number of onboard features to support the microcontroller and make it easier to work with, including a 16 MHz crystal, a USB Micro-B connector, an in-system programming (ISP) header, a reset button, and three indicator LEDs. 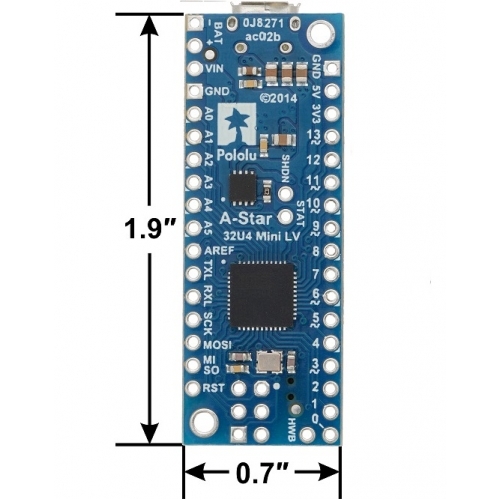 The A-Star Mini LV, can be powered from a 2.7 V to 11.8 V external source. The input voltage is regulated to 5 V by a TPS63061 switching step-up/step-down (buck-boost) converter from Texas Instruments. 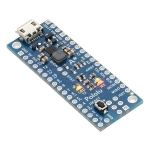 The regulator’s flexibility in input voltage is especially well-suited for battery-powered applications in which the battery voltage begins above 5 V and drops below 5 V as the battery discharges. The A-Star’s components, including the microcontroller and LEDs, draw 30 mA to 40 mA in typical applications. The rest of the regulator’s achievable output current, which depends on input voltage as well as ambient conditions, can be used to power other devices. 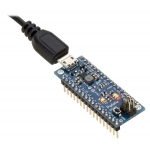 The A-Star 32U4 ships with a preloaded Arduino-Leonardo compatible bootloader (which uses 4 KB of flash memory, leaving 28 KB available for the user program). We provide a software add-on that enables the board to be easily programmed from the Arduino environment. 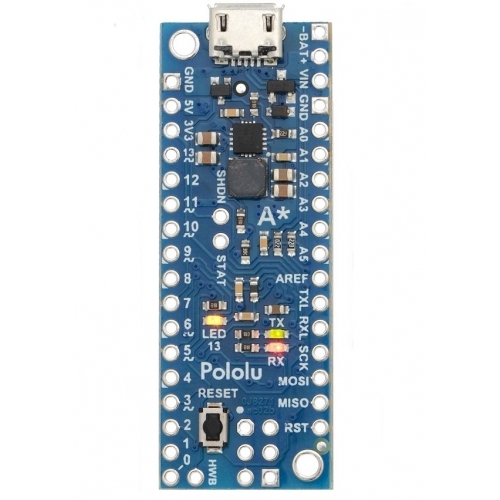 NOTE: Although the Pololu Resources page for this product (below) contains links to download drivers for this board in order to install it within the Arduino IDE as a Pololu A-Star 32U4, we found this is not necessary. 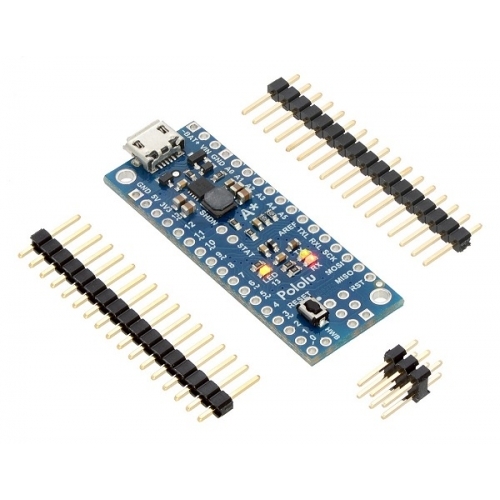 The board can be programmed by simply selecting Arduino Leonardo as the board type.